Suzuki Toshinobu was born on March 2nd, 1918 as the son of a rice merchant family in the town of Iwase-cho, Ibaraki Prefecture. As a young man, he went to Tokyo and established and then built up a rubber tyre and related business which flourished greatly. As a successful, ‘well to do’ person, he started to devote his time and energy to the hobbies that he had cherished in his youth, such as mountaineering and skiing. 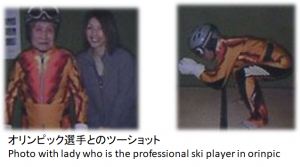 He became an instructor for the All Japan Skiing Federation. Later he heard that the temple of his home town of Iwase no longer had a temple bell. Therefore in 1958, Suzuki Toshinobu and his wife donated a new bell to this temple. One can see their names inscribed on the bell. Coincidentally, in the same year that they made this donation, a friend invited him to visit the Dojo of a great martial arts master in Shinjuku, Tokyo. As they watched the training session, suddenly Kaiso (Ueshiba Morihei) himself appeared in front of them. Everyone in the Dojo was surprised as the training sessions were normally only conducted by the Shihan. Even more significantly, although he was only there to watch, Kaiso personally welcomed him as a new student and asked his name, which Suzuki Toshinobu hesitantly gave to him. 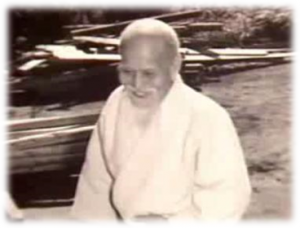 In this remarkable way Suzuki Toshinobu met and was attracted by Kaiso Ueshiba Morihei. He therefore felt that he was destined to become Kaiso’s student and started training in earnest. 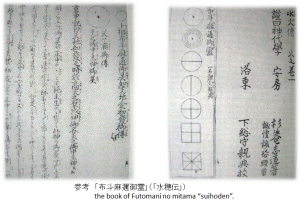 At the time there were two types of students; the student-disciple (tokkei-monjin, which included Suzuki Toshinobu) and the general students (futsu-monjin). The tokkei students, of a higher socio-economic status and paying ten times the tuition fees, had special access to the Dojo for private training. Also the two groups would never train together. 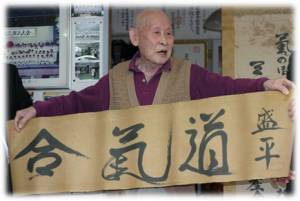 From the beginning until Kaiso’s passing on April 26, 1969, it seems that over and above the teacher pupil relationship, a deep personal understanding developed between the two. 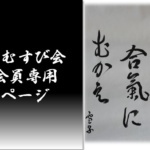 Having been accepted by the Master in this way, Suzuki Toshinobu was invited to submit his name to the list of disciples to be trained at the Takemusu Aiki-Juku. This was a separate group from the Aiki-Kai school that was also controlled by Kaiso. Thus he was trained directly by the Master himself. Suzuki’s Sensei’s wife, Kuni, was taught the Takemusu Shinto rights directly, as a disciple of Kaiso. There are many episodes to tell about this special relationship that even the other long-standing students were not aware of. 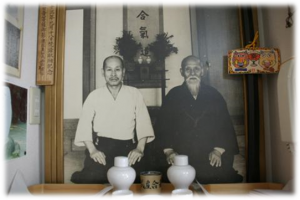 There were Takemusu Aikido treasures and scrolls that Kaiso presented to Suzuki Toshinobu, including one special scroll written by Kaiso, that Suzuki Toshinobu was to display on the formation of his own Dojo. 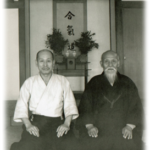 There also exists a photograph of Ueshiba and Suzuki sitting side by side taken at the former Shinjuku Dojo. 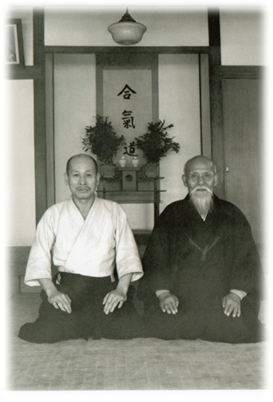 Suzuki Toshinobu was reluctant to sit so close to his Master out of his great respect for him, but Ueshiba asked him to sit right at his side. It was indeed very rarely that Kaiso ever invited another single disciple to appear in a photo with him. 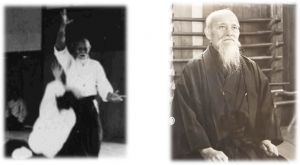 Thus this photo of Ueshiba and Suzuki attests to the very special relationship between these two men. 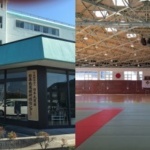 With Kaiso’s approval and support, Suzuki Toshinobu, under the control of the Aiki-Kai, established his own Aikido Masakatsu Dojo in Kanamachi, Katsushika-ku, in April 1970 on the anniversary of Kaiso’s passing. 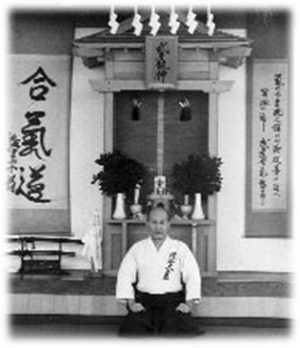 In 1974, Suzuki Toshinobu moved his Dojo to a new location close by, and named it the Aikido Seisho-kan Dojo. 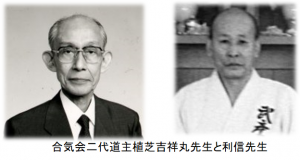 The following year, it became appropriate for Suzuki Toshinobu to invite Ueshiba Kisshomaru, son of Kaiso, the then Head of the Aiki-Kai, to discuss and clarify the future relationship between the two groups. 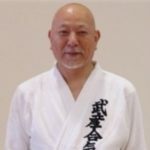 As a result of these discussions, Suzuki Toshinobu became independent of Aiki-Kai, with the authorisation of Ueshiba Kisshomaru to use the name of Takemusu Aikido-Honbu, in the capacity of the Takemusu Aiki-Juku Shihan who had been personally trained by Kaiso. 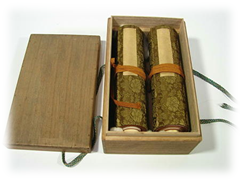 The scroll of the designated list of members of the Takemusu Aiki-Juku remained in the possession of Ueshiba Kisshomaru as the Head of the Aiki-Kai Honbu. 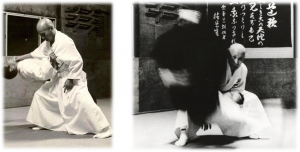 From 1975 onward, Suzuki Toshinobu, as the Head of the Takemusu Aikido School, has been training students in the true spirit of Takemusu Aikido as directly received from Kaiso Ueshiba Morihei. Suzuki Toshinobu was relating his experiences and describing the relationship he had with his Master until he passed away on 30th of Dec 2009. Copyright © 武産合氣道会 All Rights Reserved.